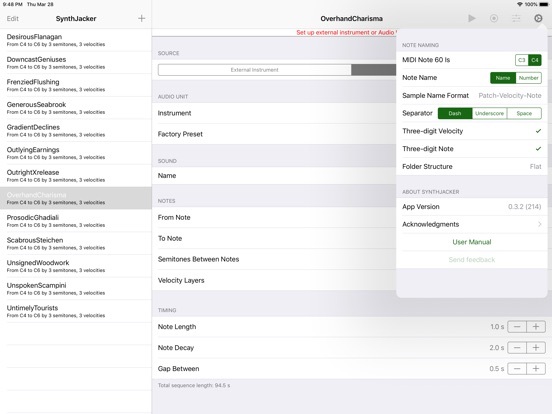 SynthJacker is an autosampler for iOS. It automatically plays back a MIDI sequence with the notes and velocities you specify, and records the results into an audio file. 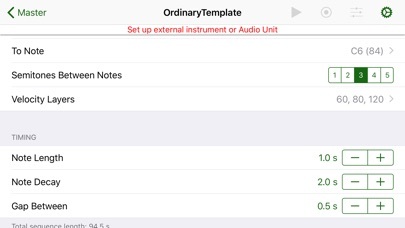 It then slices the audio into individual sample files, ready to import into an iOS sampler app of your choice. SynthJacker supports both internal instrument Audio Units (AUv3) and external hardware synths. 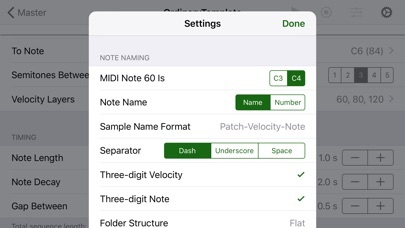 You can also save presets of your sampling sessions, including the note range, velocity layers, and note durations. You can also apply post-processing to samples, to trim silence from them or normalize their level. 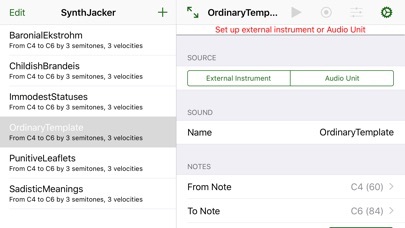 SynthJacker automatically names the resulting sample files with note and velocity information, so that they can easily be automapped by a sampler app. It also writes an SFZ file with sample information as regions and their root keys. 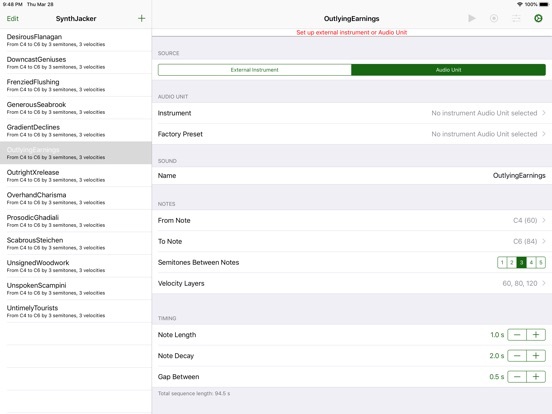 You will find the results in the iOS Files app, in the SynthJacker folder. - Post-processing: you can now trim silence from recorded samples, or normalize them. Trim silence removes samples below the noise floor threshold you set from the start or end of samples, or both. You can also normalize samples to a level you can select. 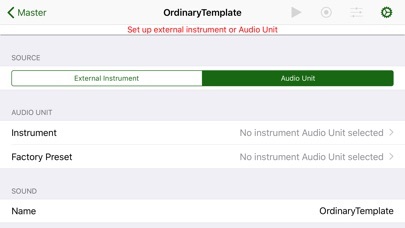 - Bug fixes and improvements: velocity levels are now correctly set for instrument Audio Unit recordings, and the sequence preset management system has been overhauled.